Follow the CRC money | Audio and video stories from Southwest Washington. The almost ONE BILLION DOLLAR question is: Who initiated the Columbia River Crossing, and when was light-rail included in the plans? Light-rail history from author Randal O’Toole’s book, The Best Laid Plans (pg. 151), states that Mayor Neil Goldschmidt cancelled construction of a planned freeway, then funneled the funds into Portland’s first light rail. Goldschmidt’s reward? A huge fee for brokering a backdoor deal awarding construction giant Bechtal a no-bid contract to build a light rail project. Gresham's Rockwood Light Rail Station sports a hideous Tri-Met re-design. In 2004 the term “Light Rail Mafia” was tossed around by journalists, planners and elected officials to describe Goldschmidt connected people. O’Toole also writes (pg. 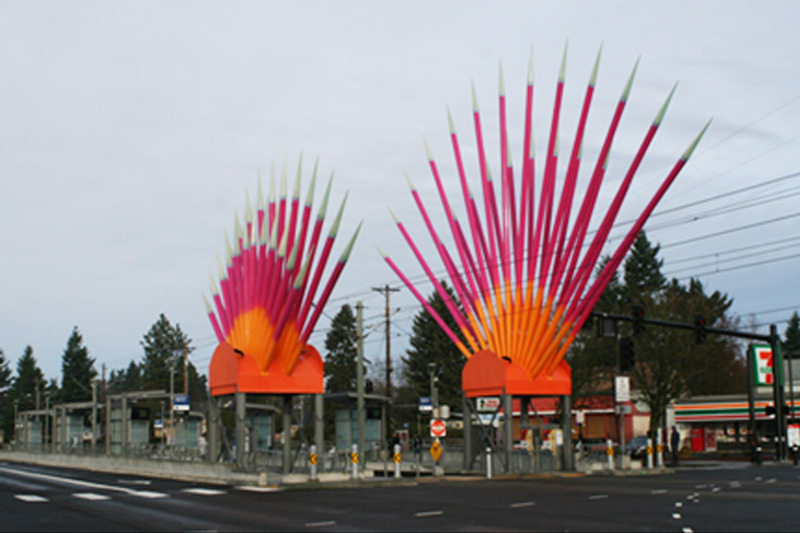 154), that in May 2006 then Portland commissioner Sam Adams announced that success of the waterfront district depended on spending $550 million on a new light rail line from downtown Portland to Milwaukie.